Some of you may remember during last year's Summertime Photography Scavenger Hunt, I posted a collage of longhorn photos and lamented that I wished that had been on the list. What I'm discovering is that during the scavenger hunt, I'm much more focused on my surroundings and looking for the items on the list. However, I often discover other extremely interesting things that would have made great finds . . . if only they had been on the list. 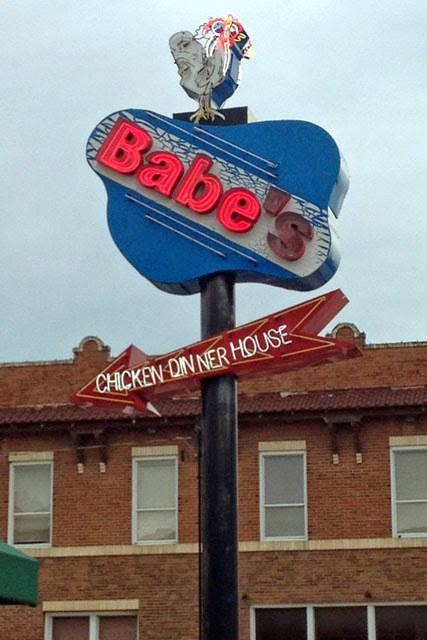 This phenomena occurred a couple of weeks ago when Robbie and I took a Friday evening drive up to Sanger (about an hour away) to enjoy a fried chicken dinner at Babe's Chicken Dinner House. 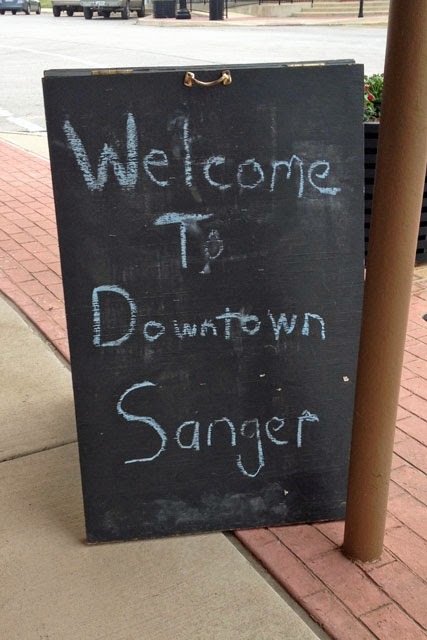 I was on the look out for items on this year's Summertime Photography Scavenger Hunt, and I did find one item that would be my second submission for #1 - a sign welcoming people to a nearby town. However, I also found quite a few interesting things that weren't on the list - a giant rooster . 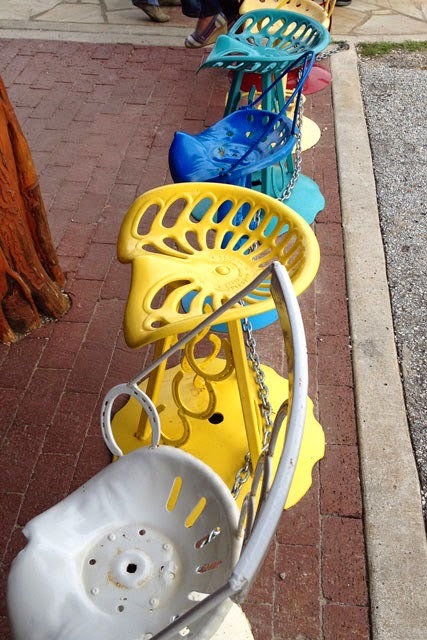 . .
stools made from old tractor seats . 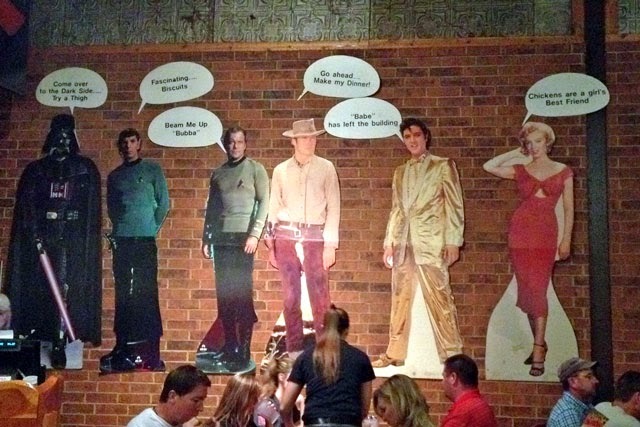 . .
Darth Vader, Spock, Captain Kirk, Clint Eastwood, Elvis, and Marilyn Monroe (be sure to click on the photo for a larger version that will allow you to read the talk bubbles) . 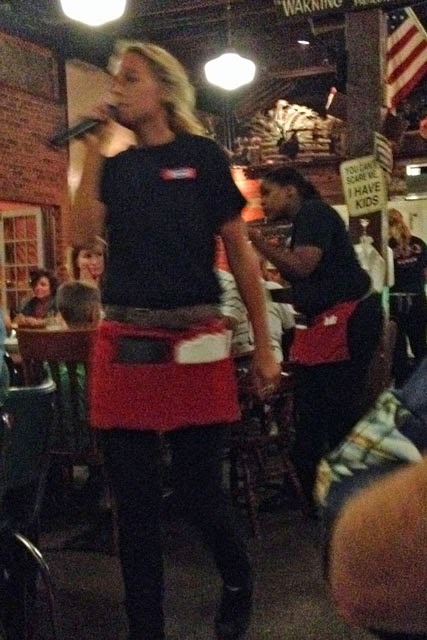 . .
singing waitresses . 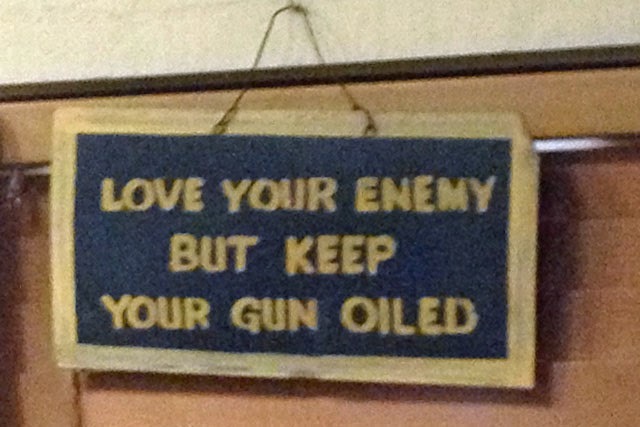 . .
a warning sign . 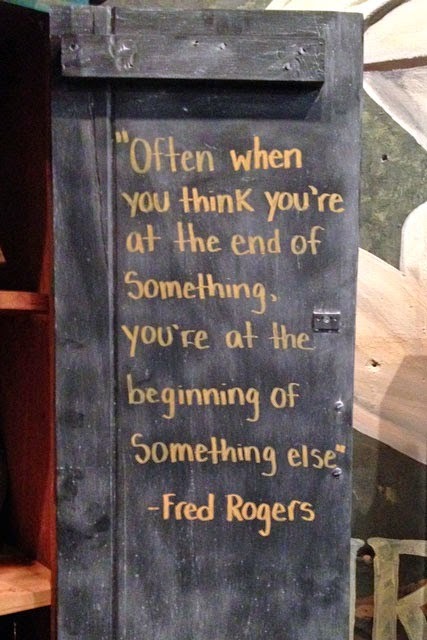 . .
a great quote . 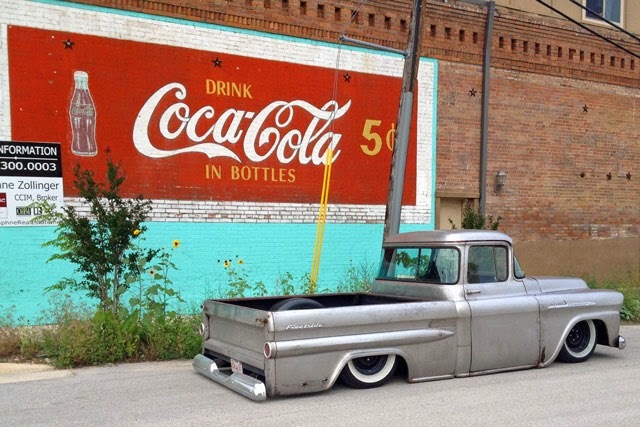 . .
and a pick-up truck literally sitting on the ground. Thanks Rinda for hosting this FUN summer event and helping me be more observant! Love this post! So fun! Great post! A rooster was on the list a year or so ago. I remember being so excited when I found one in my brother's neighbor's yard! So fun! Love your photo finds! I love how you have found so many other FUN items to photograph! 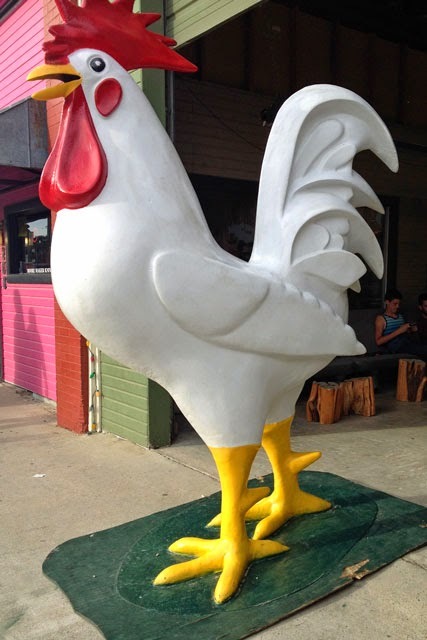 Ah I thought of you as I photographed a longhorn :) I like your giant rooster and other fun finds.